What the hell, Mother Nature? It’s June! 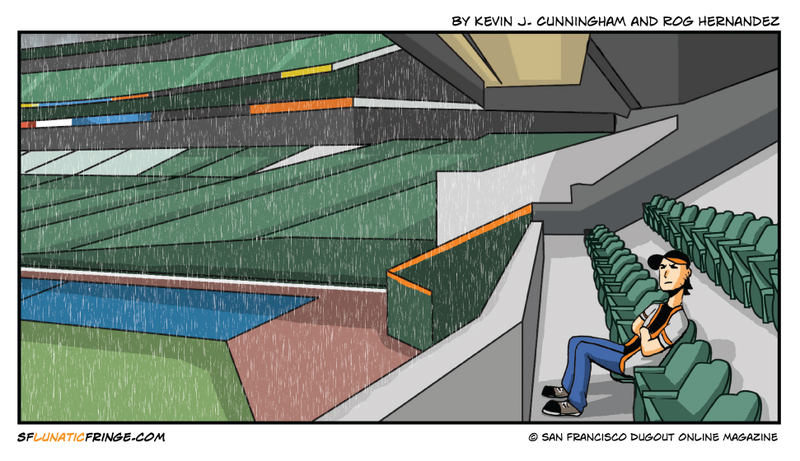 Sure, the Giants luckily didn’t have any games rained out, and things look good for this week, but, boy, this was the most miserable weather I’ve seen in any June for a long time. If you want to be positive today, get ready for the MLB Draft! Remember, the Giants actually care about it now! They have gotten some pretty impressive picks in recent years. They draft at #29 this year, so we’ll see how it goes. Our sister site at SFDugout.com will have coverage, including scouting reports on every player the Giants draft over the next three days. And yes, this is an ad, but hey, helping them helps us!